A startup named Eternal Sun has raised $2.5 million dollars in its Round A funding. It makes a solar simulator technology that solar cell and module companies can use to test their technology. Belgian investment firm Vermec N.V provided the funding, which will be used to expand international sales and service. Eternal Sun simulators work by generating artificial sunlight that activates solar cells and modules. An Eternal Sun solar simulator can provide thousands of hours of continuous artificial sunlight at an appropriate spectrum. 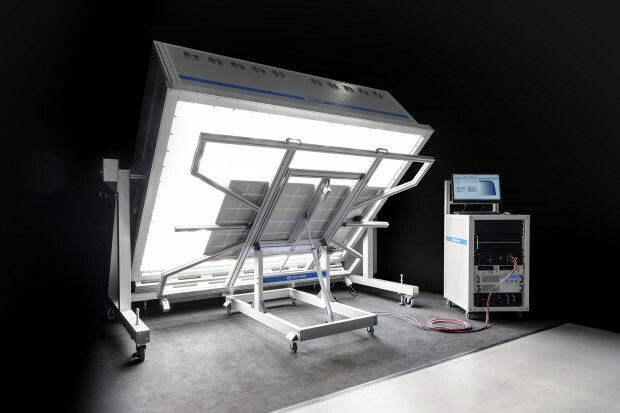 So, solar power technology companies can have an Eternal Sun simulator right in their own labs to test solar cells and modules whenever they want. Each of their systems costs between $150,000-$250,000. The company’s simulator have received the highest accuracy rating by accepted industrial standards. “We are excited about Eternal Sun because the company focuses on the intersection of the solar industry and quality assurance, both of which are gaining importance worldwide. We are glad to engage with this talented team, and look forward to the upcoming period of development and growth,” explained Michel Verhaeren, CEO of Vermec. Having the ability to test and certify solar cell and module performance is helpful as technology companies gradually progress towards greater solar power efficiencies. The company has three revenue streams: selling the simulators, selling the lamps that need to be replaced after a certain amount of usage and providing testing services. Delft, the Netherlands is where Eternal Sun is located. It is a spin-off from Delft University of Technology. As it has grown, the company has won numerous awards. It also supports solar technology by sponsoring two solar race teams at Delft University of Technology. Chokri Mousaoui is the founder and CEO. He and a research partner at the Delft University of Technology were working on other projects and they needed simulator testing technology for their work, but it wasn’t available to them so they made their own. By 2012 and 2013 they had received requests for their solar simulators. Some of these were from the automotive industry to test dashboards, steering wheels and air bags. The chemical industry also was interested, so they could test plastics, paint and glue. Now some solar power companies are using their solar simulators.